Gaby & Hussain Civil Marriage In Turkey – Antalya As an international Wedding Planner it was very nice to organise Gaby and Hussain’s Civil Marriage in Turkey – Antalya. Gaby from Netherlands and Hussain from Syria was an amazing couple. They e-malied us for their ceremony in Antalya. 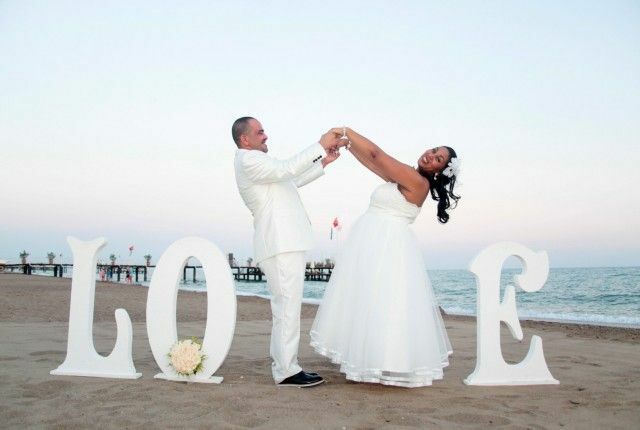 They celebrated their marriage in Turkey with Wedding City Antalya privilege. They had a fantastic day with their lovely family in Antalya. After the ceremony, they enjoyed the night at the platform of Limak Lara Hotel during the wedding dinner reception. Their traditional dance was absolutely amazing. Also they had fun during the Wedding Cake Ceremony. Their first dance was stunning. Entrust your Dreams to us for your perfect wedding in Turkey.